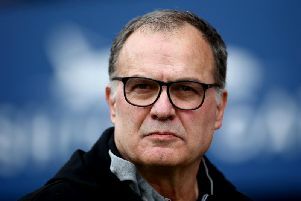 Leeds United have been handed two more dates on Sky Sports after their September fixtures against Middlesbrough and Sheffield Wednesday were moved for live broadcasts. READ: Leeds United transfer targets: Who are Manchester City starlets Phil Foden and Brahim Diaz? Boro’s Championship visit to Elland Road on September 1 has been brought forward to Friday, August 31 (kick-off 7.45pm), increasing United’s number of Sky appearances in the first month of the season to four. Leeds will also contest a Friday game away at Hillsborough on September 28, the first time the club have visited Sheffield Wednesday for a night match since the infamous events of 2012 when former Wednesday goalkeeper Chris Kirkland was attacked on the pitch by Leeds fan Aaron Cawley. Cawley was later jailed for 16 weeks and given a lengthy football banning order. United’s clashes with Stoke City on August 5, Derby County on August 11 and Swansea City on August 21 have already been chosen for live coverage.